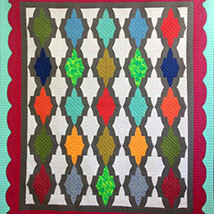 The Wichita Mountains Quilt Guild holds their Home Sweet Home Quilt Show at the Comanche County Fairgrounds. Come see hundreds of unique quilts on display and admire the craftsmanship and dedication that is involved in quilting. There will also be a raffles for a Lone Star Oklahoma-themed quilt and for an American Girl doll complete with her own quilt and a full wardrobe of clothing made by guild members. Browse through the rows of local and regional quilt and craft makers that are sure to stun you with their handmade items for sale. Be sure to participate in the basket walk where you will have the chance to take a home a gift package designed especially for quilters.